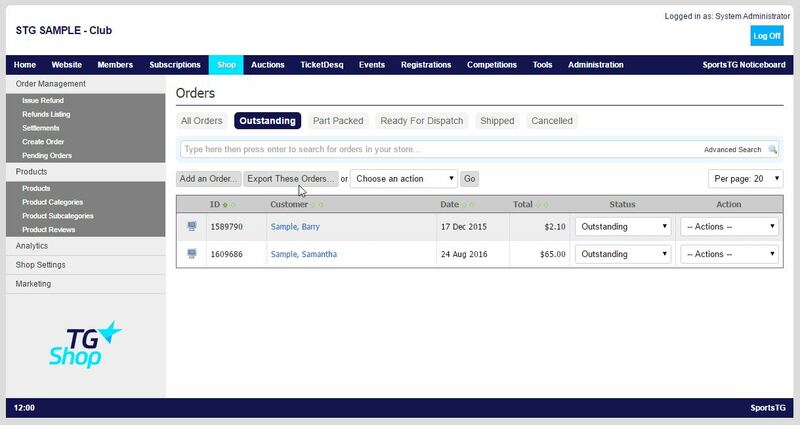 To help in processing and completing orders, you have the ability to export orders into Excel to view the full order and shipping details. 2. Select Export These Orders from the top of the page. 3. Select the Export Option that you wish to use. 4. Select Continue Export. This will allow you to export your orders into Excel. Note: Exporting out your Outstanding Orders, allows you to fulfil orders quickly and effectively, giving you all the information you need to pick, pack and post your customers' product.